Finally a few more days off (not that I have much to do at the uni - only one seminar once a week ;). 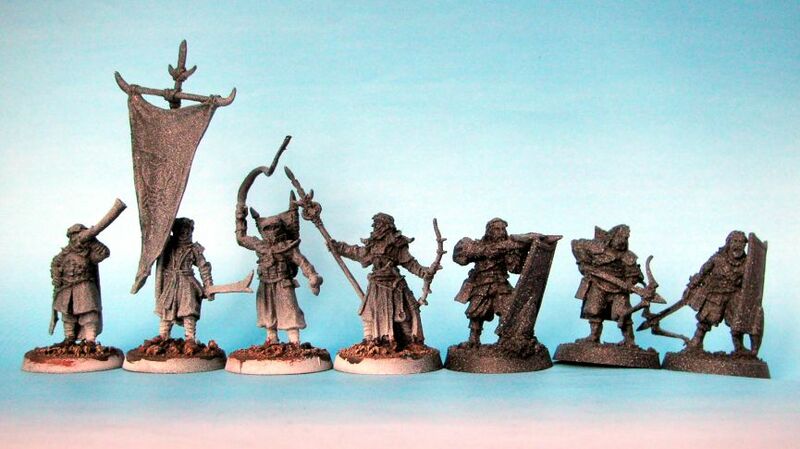 Once again I'm working on minis from LotR SBG, this time several Harad minis. I like most of the minis from this army. It seems that GW sculptors really gave their best. They have perfect proportions (not always the case with minis from this range) and lots of details. Also, I really like how their clothes are sculptem, makes painting them very enjoyable. 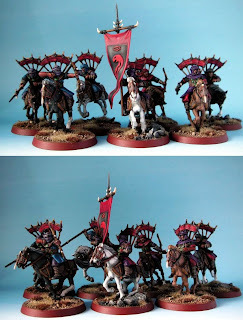 I've already painted quite a few Harad minis for various commissions. To name a few: Harad Chieftain , Mumak 'driver' , the new Suladan model (aka. The Kite Man), Serpent Riders , and both metal and plastic Harad Riders. Another thing that makes painting them enjoyable is the possibility to use more varied colour schemes. I usually use different shades of red, blue and purple but there are lots of other possibilities. 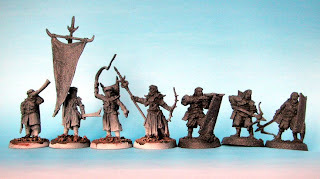 I've seen some really nice Harad schemes while browsing hobby-related websites, and Haldir's army has to be one of the best out there. I really like the classic desert look. You can check it out here . Now, enough of beating around the bush, here are the minis I'm working on at the moment. While painting minis that have brighter colours I either start from white undercoat or a black one sprayed over lightly with white one. I chose the latter here as apart from providing a solid basis for painting it also nicely highlights the details.